There is coffee & than there is Philz. With a line typically out the door, this "One Cup At A Time" coffee mecca pours a variety of sweet to bitter blends. Each cup made to your specification - the baristas are always welcoming & helpful in explaining the assortment of flavors & options. With several locations all over the Bay Area you MUST stop here for a cup of liquid energy. 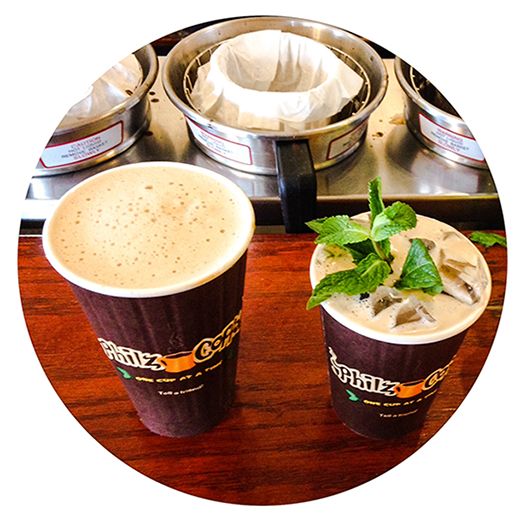 * Be sure to try the Mint Mojito, Mocha Tesora & my daily favorite - Jacobs Wonderbar!